BAE Systems has received a $114.5 million contract from the U.S. Navy to perform maintenance and modernization of the guided-missile destroyer USS Bulkeley (DDG 84) in its Norfolk shipyard. The value of the competitively awarded contract could reach $136.2 million if all options are exercised. 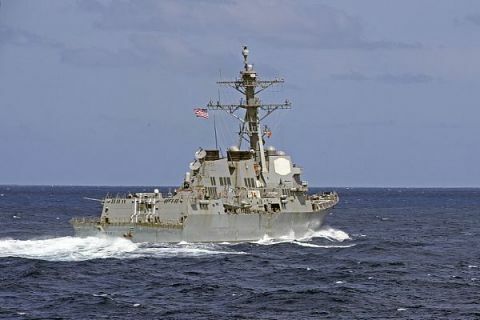 The USS Bulkeley is the 34th ship of the Arleigh Burke class. Named for Medal of Honor recipient Vice Admiral John Bulkeley, the ship was commissioned in December 2001. Following its arrival in March, BAE Systems will perform extensive hull, mechanical, and electrical repairs, and upgrade the combat systems suite aboard the 509.5-foot-long Bulkeley. The Bulkeley’s depot maintenance period is expected to be completed in June 2020. BAE Systems’ Norfolk shipyard currently employs about 1,200 people and hundreds of subcontractors. The shipyard is expected to hire additional employees and temporary workers to accomplish work on the Bulkeley and other ships in the shipyard. BAE Systems is a leading provider of ship repair, maintenance, modernization, conversion, and overhaul services for the Navy, other government agencies, and select commercial customers. The company operates four full-service shipyards in California, Florida, Hawaii, and Virginia, and offers a highly skilled, experienced workforce, eight dry docks and railways, and significant pier space and ship support services.